NFL clubs will begin their on-field preparations for Kickoff 2015 this week. By Sunday, August 2, every NFL team will be in camp. More and more, teams are training at their regular-season headquarters or home stadiums. This year, more than half the league (20 of 32, 62.5 percent) will be “staying home” for training camp. In 2000, only five of 31 (16 percent) teams stayed close to home. The numbers may prove home-base popularity is a growing league-wide trend, but there are still teams employing the “old-time” philosophy of encamping away. The Steelers are one of the teams that “come together” away from home. The NFL training camp longevity king? The Green Bay Packers, who return on July 25 for their 58th consecutive summer at St. Norbert College in De Pere, Wisconsin. Since the Vikings and Steelers kickoff the preseason in just over two weeks at the Hall Of Fame Game in Canton, OH, they were the first teams allowed to open camp, and did so over the weekend. 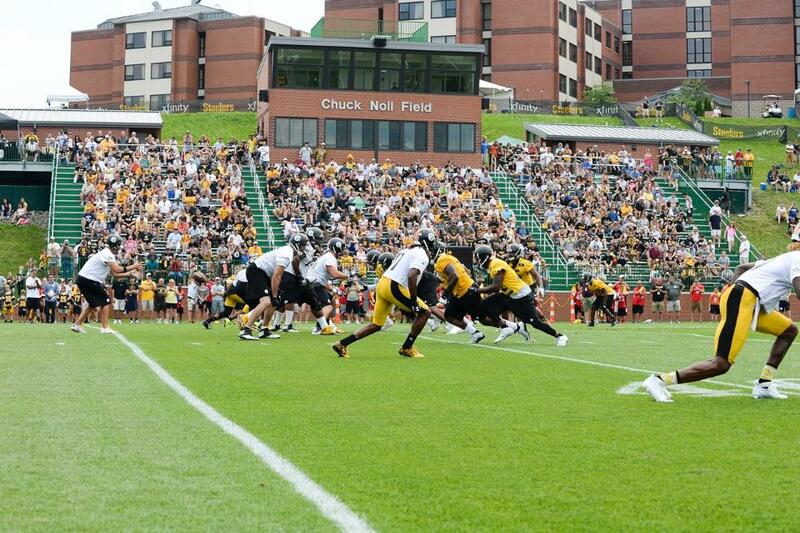 Minnesota and Pittsburgh are each enjoying their 50th summer in their respective training camp homes, with the Vikings at Minnesota State University – Mankato in Mankato, MN and the Steelers at Saint Vincent College in Latrobe, PA.